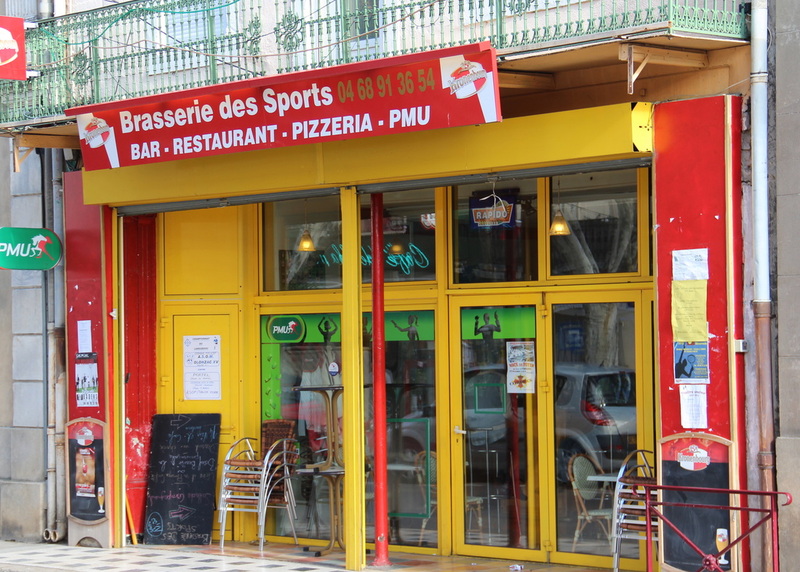 In the main street of Olonzac there is a bar that goes by the interesting name of Brasserie de Sports. It is not unlike a Hotel Bar in Australia. It serves drinks and has a TAB (or the French equivalent). Howver as with most such places here in France it is part café/restaurant part bar. 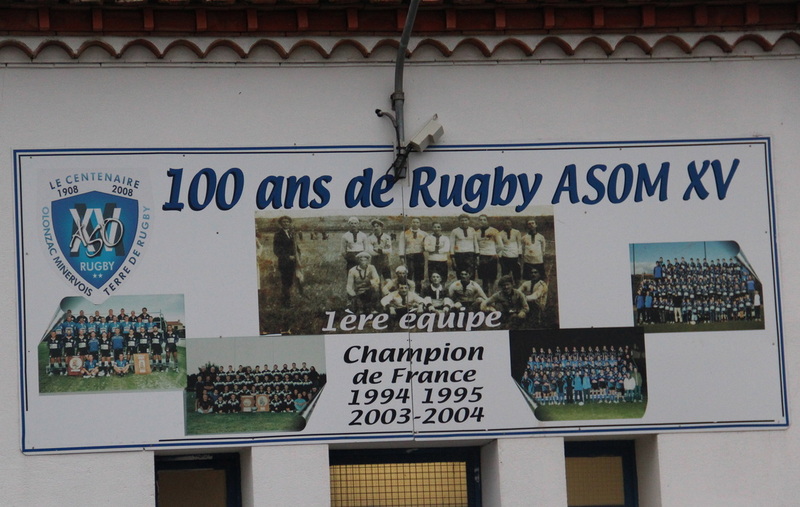 It is the hang out for a lot of the local rugby team and I see the players meeting there when there is an away game. Several of the players seem to have jobs behind the bar although as I will explain later it is ofter hard to work out who the staff and who the customers are here. I have been down here for a drink and to ask about the rugby so the occasion of the French v Wallabies Test match seems like a good reason to head to Le Brasserie. I’m looking forward to a beer after all this vin rouge and perhaps even some bragging rights when the Aussies clean up those cocky Frenchman. 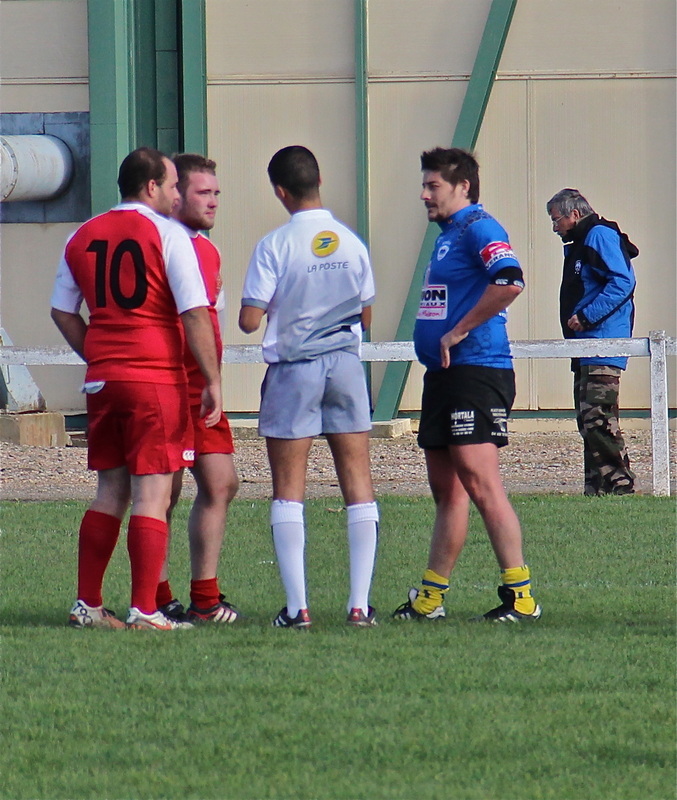 There is a good crowd in when I arrive and I recognise one of the Olonzac Rugby players as the barman. As one would expect in a small community (we are talking Howlong here) everyone knows everyone else and it appears to be madam’s birthday. There are some big tables settling in for a meal so I get a drink and hold up the bar. I wait for the game to start. The National Anthems are sung and the ball is kicked into play. 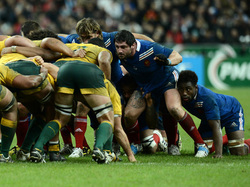 It is apparent after a short while that the Wallabies are not doing well. Only a few of the patrons (and the barman know I’m an Aussie) and I am happy to keep it that way as I become increasingly despondent at the bumbling efforts of our national team. On the other hand the crowd at le Brasserie is having a great time. Pastis it seems is the drink of choice. The last of the food orders have been cleared away and some serious revelry can now start. It is apparent that the Wallabies will not be making a comeback tonight so the sound on the big screen is turned off and the music cranked up. There are several songs with reoccurring choruses that the crowd all know and they is a massive singalong accompanied by dancing, first on the tables and then migrating onto the bar. The barman seems to see no reason why he should miss out on the fun and is vying for the prize as his own number one best customer. Actually by this time it is very difficult to differentiate between staff and customers as at least half those who were previously customers are now making frequent and extended trips behind the bar. Pastis is disappearing at an alarming rate. No-ne goes outside to smoke. It is cold out there and you could end up catching a chill. Here you get your food and your drinks and pay at the end of the night as you would in a restaurant. This is obviously a great system but I cant help wondering how, in the atmosphere of joyous and uninhibited, yet friendly, intoxication who remembers what was had by whom. Does it matter? I pay the equivalent of $8 for my 7 (3) beers and leave the gang to their revelry. 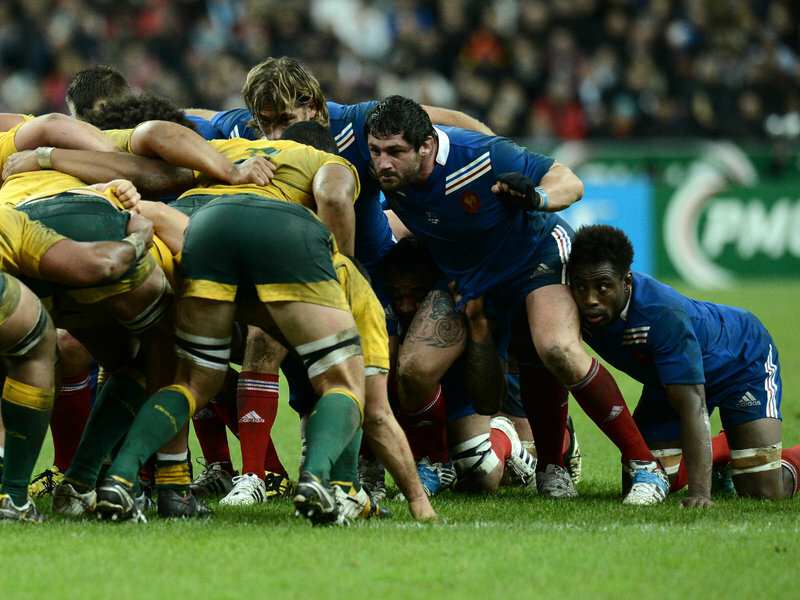 Would it have been different if the Wallabies had won. I think not. Viva la France.